The Internet has become such an extension of the corporate network that for many organizations the Internet is the corporate network. Not only has the Internet become essential for connecting workforces with customers, suppliers and business partners, it is also critical for many internal operations as well. In this white paper, we’ll examine how the Pravail® portfolio from Arbor Networks can empower your network operations and security teams to more efficiently help protect the integrity and availability of your enterprise network against advanced attacks. 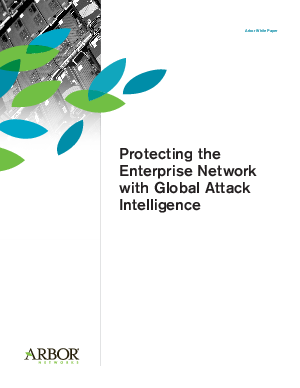 Armed with unique global attack intelligence from within and outside your corporate network, these products provide you the visibility and awareness required to help block advanced attacks, solve problems faster and reduce the risk to your business.